AirMD provides asbestos testing and surveys, sampling and inspection services across many public sectors, including commercial real estate, banking, health, retail and insurance. Property managers entrust AirMD to look after their portfolios to manage any risk present in each property. 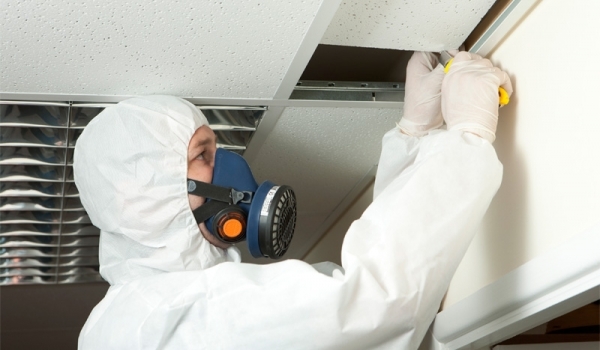 A current asbestos survey is required by the EPA throughout the entire United Sates, prior to demolition of any multi-family residential property or any commercial property including retail and office space. Asbestos was used in over 3,000 products ranging from floor tiles, to wall, door and ceiling panels, to electric appliances. Asbestos was also historically used throughout construction from fire protection to the column and beams, much of which is still present. Asbestos Surveys vary significantly in terms of size and complexity, with access and visibility being simple or complex. Moreover, the presence of asbestos can vary depending on the age, structure and design of the property. AirMD’s work includes management asbestos surveys, as well as refurbishment and demolition surveys. These survey types vary significantly and typically relate to ongoing monitoring requirements and structural change projects.